and an EpiPen Inside Keychain. Save money by buying everything your tree nut allergic child needs for school in one bundle. The Tree Nut Allergy School Starter Kit has everything you need to keep your child with a tree nut allergy safe. The kit includes a tree nut allergy wristband, a twin adrenaline pen case, and a pack of stickers. 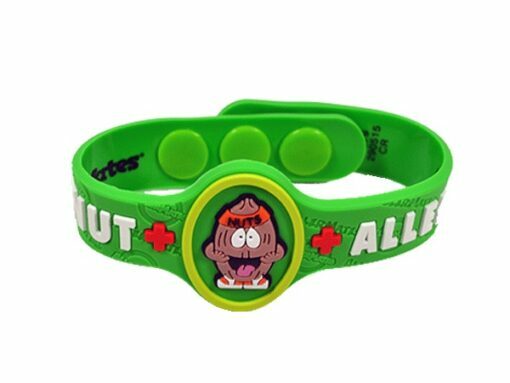 Tree Nut Allergy Wristband – Kids. This bright and fun tree nut allergy wristband is eye-catching so caregivers remember your child’s tree nut allergy. Kids Case for EpiPen® auto-injectors. 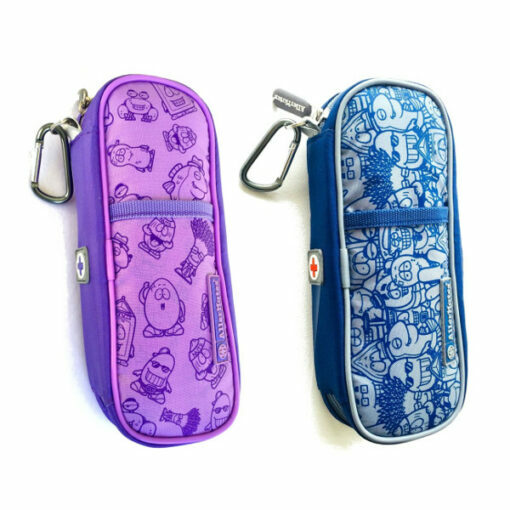 This case is great for school kids as they can clip them to their bag to have during class and strap them around their waist for at break time. The fun design means that kids are happy to wear it. 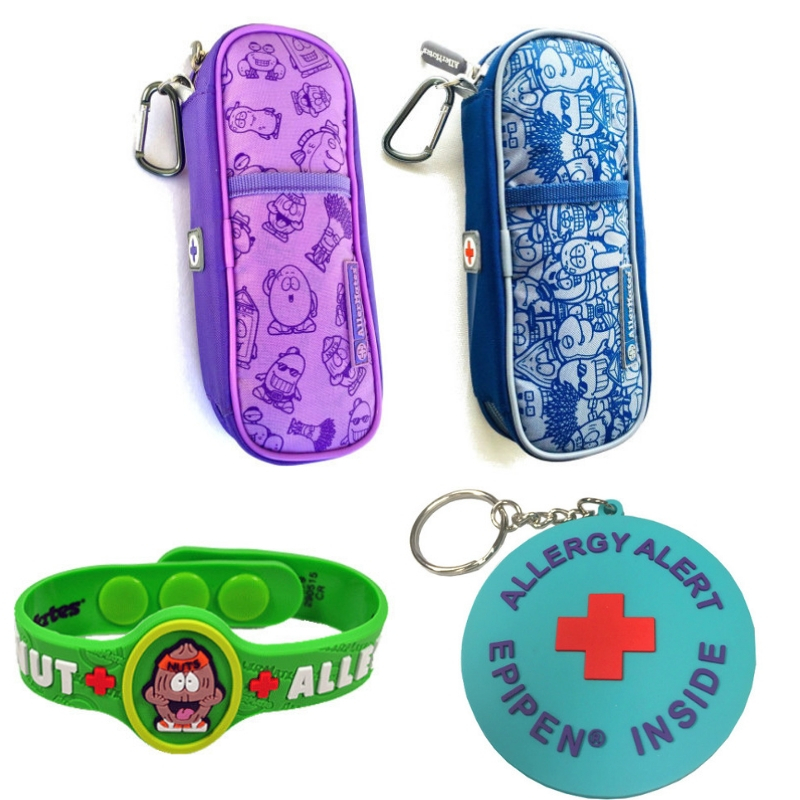 The case can hold 2 adrenaline pens; EpiPen, Jext, Anapen or Emerade. Make sure your child is protected at all times with this great case! Save money by buying everything your tree nut allergic child needs for school in one bundle!